I'd made arrangements with My Pal Reyna™ to attend the Camarillo quilt guild's annual show today, not knowing that Leanne would be out of school for a teacher in-service day. 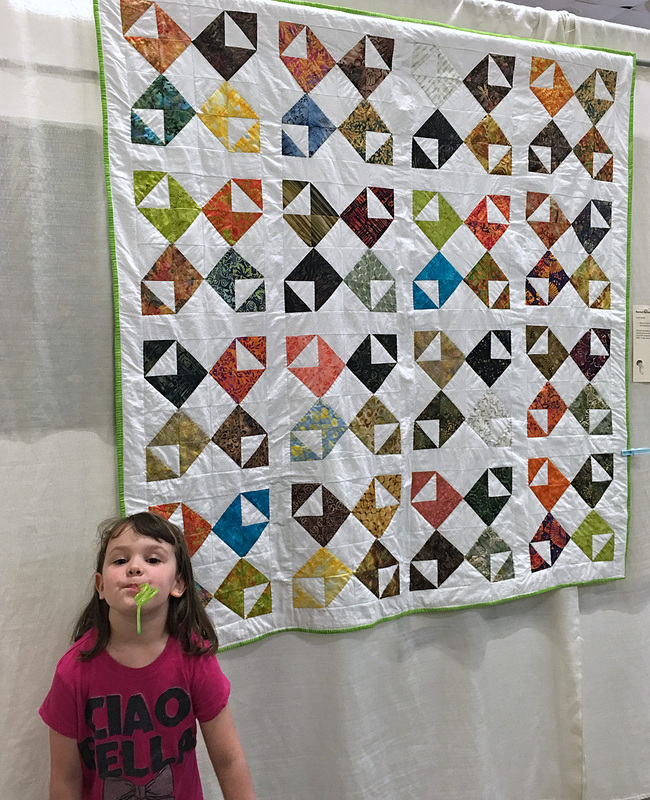 Leanne was not pleased when she discovered she'd be going to the quilt show with me . . . until I said the magic grandma words: "Disney princess store!" "Love Notes" by Sharon Lewis. I want to make this, someday. And they really are magical. During the four hours we spent at lunch and the show, I only had to remind Leanne once that visiting "Disneyland" was based on her good behavior. 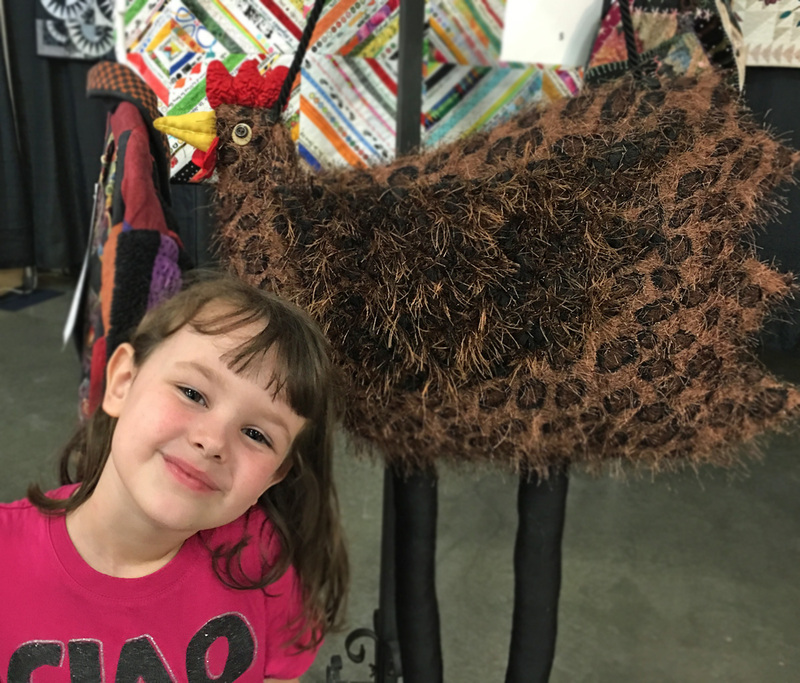 For Rachel - a gigantic chicken purse, with long spindly legs. It was awesome! Between the guild's scavenger hunt for kids - with a cute prize bag for completion - and anticipation of the Disney treat, I think Leanne actually had fun. I know I did. My little Pumpkin is growing up!